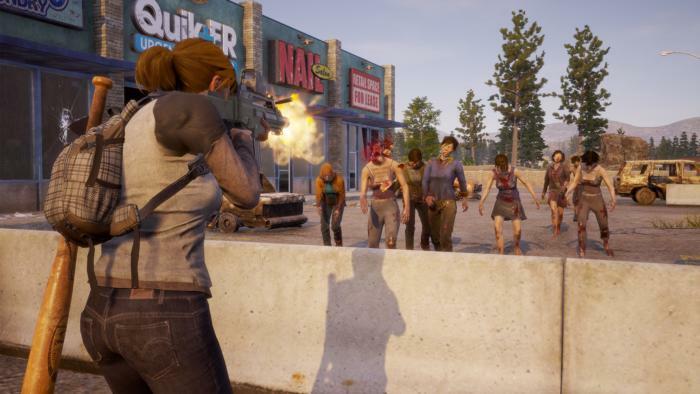 State of Decay 2 launched in not the best of states. It wasn’t a broken game, no, but it did suffer from a number of technical issues. Developers Undead Labs, however, have been working behind the scenes to fix any and all issues players come across. They have now released Patch 2.1, which fixes a few more of these problems. Mostly, it looks like it focuses on issues that people have been coming across in the game’s Community screen. For example, thanks to this patch, leaders are now positioned on the Community screen correctly, while an issue where newly recruited members would sometimes overlap or be standing too close to each other has also been fixed. Additionally, the mission “Builder: Make Your Own Gear” can now be completed in the game if you have a built-in machine shop in your base, as a result of this patch, while other missions that couldn’t be finished previously due to missing items, such as “Lost and Found: Search for the Mace” and “Eagle Eye: Sniper’s Stash”, have also been fixed. Notably, the patch also fixes another issue so that players can now gain experience in their individual melee specializations when using their melee weapons in close combat scenarios. You can take a look at the full patch notes below (provided by Undead Labs). The “Purchase” DLC button on Main Menu now works properly for players with new profiles who don’t own any DLC. The mission “Builder: Make Your Own Gear” can now be completed if the player has a built-in Machine Shop at their base. Characters on the Community screen now re-orient correctly when changes are made to the community. Newly selected leaders are now positioned correctly on the Community screen. Fixed an issue where sometimes newly recruited community members would overlap or be standing too close to others on the Community screen. Characters now properly gain experience in their close combat specialization when fighting with their close combat weapon. Characters who have earned at least 1 star in their Gunslinging specialization are now able to snap-aim with the [ A ] button as expected. The in-game Independence Pack purchase confirmation banner no longer eagerly pops up with every player session. Fixed several missions that occasionally couldn’t be completed due to missing items (such as Lost and Found: Search for the Mace, Eagle Eye: Sniper’s Stash, and the various resource-scavenging Radio Menu missions). These missions should now properly place the necessary items in the world.